I’m so happy Sony finally made an Apple CarPlay and Android Compatible head unit. For at least the last couple of years, Sony has definitely had an edge over its competitors in terms of sound quality and value and this model is no different in that regard. 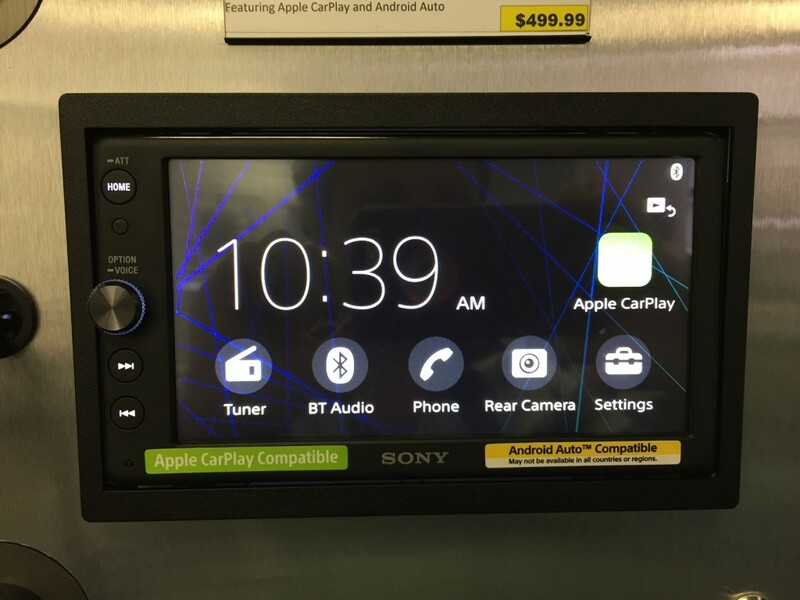 Retailing at only $499*, this is the lowest priced Apple CarPlay and Android Auto compatible head unit that I’ve carried and based on the features and ease of use, I think it’s a phenomenal value. *Update 10-8-17 – Sony has lowered the retail price on the XAV-AX100 to $399.95 in anticipation of the XAV-AX200. 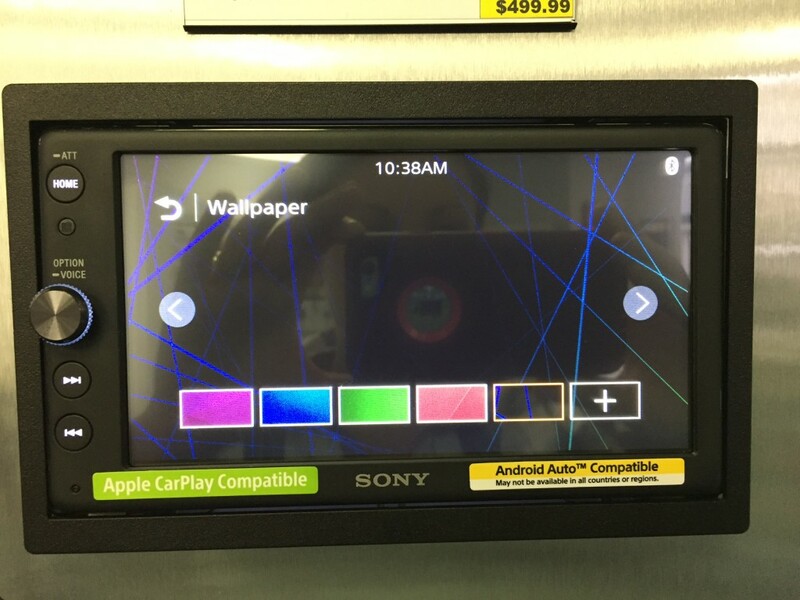 Sony XAV-AX100 Review – Home screen. Perhaps they configure it this way in case you don’t have voice control or phone buttons on your steering wheel. I’ve had quite a few customers comment on the volume knob. They like it, they find it easy to use. If you appreciate volume knobs you will appreciate the nice rotary volume knob on this head unit. It has a stiffer and more rigid feel to it compared to the volume knobs on other head units and it’s backlit. Sony XAV-AX100 Review – Display panel options. Aside from the basic features of this model, the sound quality of Sony receivers is something I need to talk about in this Sony XAV-AX100 review. Sony head units, in general just sound great. My customers are always surprised when I play a basic Sony receiver like the MEX-GS610BT or MEX-XB100BT and let them hear that compared to an Alpine CDE-164BT or Pioneer DEH-X6900BT. It is a noticeable difference even for a car audio novice. Sony XAV-AX100 Review – EQ screen. Right off the bat, the Sony units just sound smoother, richer and more natural in tone. Once you hear it, it’s hard to buy anything else. Except maybe Kenwood, they’re pretty close. And even though this unit is only rated at 2 volts on the preamp output, I have a feeling if I measured it, I’d find it was slightly higher. It’s definitely punchier than the other 2 volt preamp output models I have on display. Sony also provides plenty of audio control tools such as a 10 band EQ, built in crossovers and sub level control. Internal amplification on this bad boy is rated at 20 watts x 4 RMS which is slightly higher than your average head unit (most are 18 watts x 4 RMS). Radio reception in general is a tricky thing because it’s so susceptible to interference coming from every angle – power lines on the road and even power lines in the car itself can cause static and interference. With evolving technology and many consumers turning to streaming services from their mobile devices, most car stereo manufacturers are not dumping a ton of money into their tuners. Despite that, I have been impressed with the reception of Sony head units, this model included. 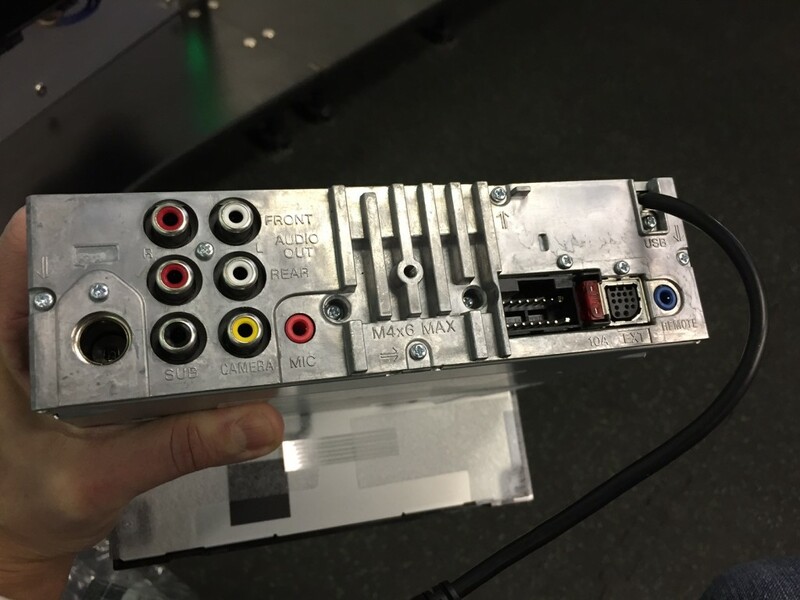 We recently installed this in an older Subaru with one of those terrible amplified windshield antennas and this thing was definitely pulling in more stations than the customer’s previous Pioneer double din head unit (which was equipped with the Pioneer supertuner). 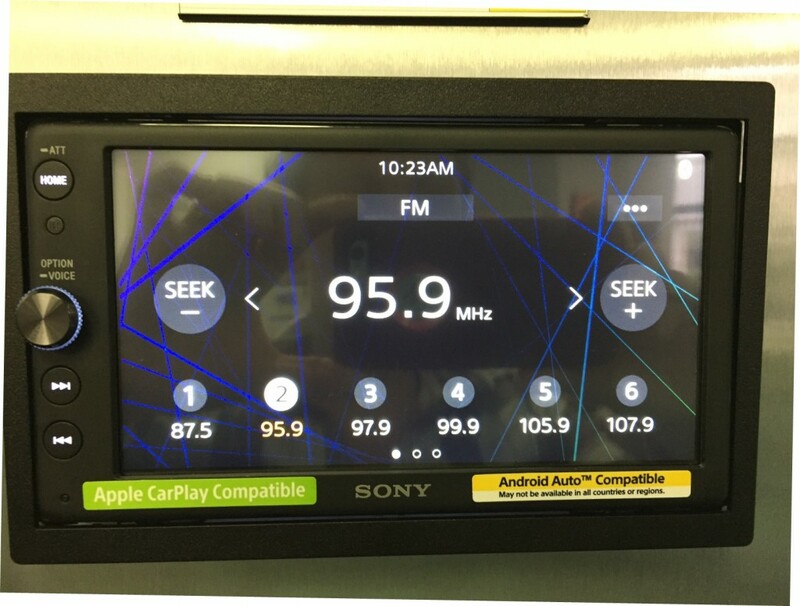 Sony XAV-AX100 Review – FM radio screen. What’s missing from the Sony XAV-AX100? Although Sony packs a lot of popular features into the XAV-AX100, it is missing a few items some consumers may still be interested in. *For most vehicles you will not need a mounting sleeve and trim ring as most installation kits these days support iso mount, however, if you have happened to have a vehicle that does not support iso mount and requires a mounting sleeve and trim ring you can use Pioneer’s ADT-VA133 – that is what I used to mount this in my display board. **Check out the Sony XAV-AX200 if these features are important to you. Remember the old saying you get what you pay for? Well, if these features are truly important to you, you’ll have to fork over a bit more money and go for something like either the Kenwood DDX9703s or the Pioneer AVH-4200NEX (soon to be replaced by the 2017 model AVH-4201NEX which I believe is the same as AVH-4200NEX, but is bundled with a reverse camera). Although the Sony XAV-AX100 lacks a couple features, I find for most customers it ticks off all the key boxes. 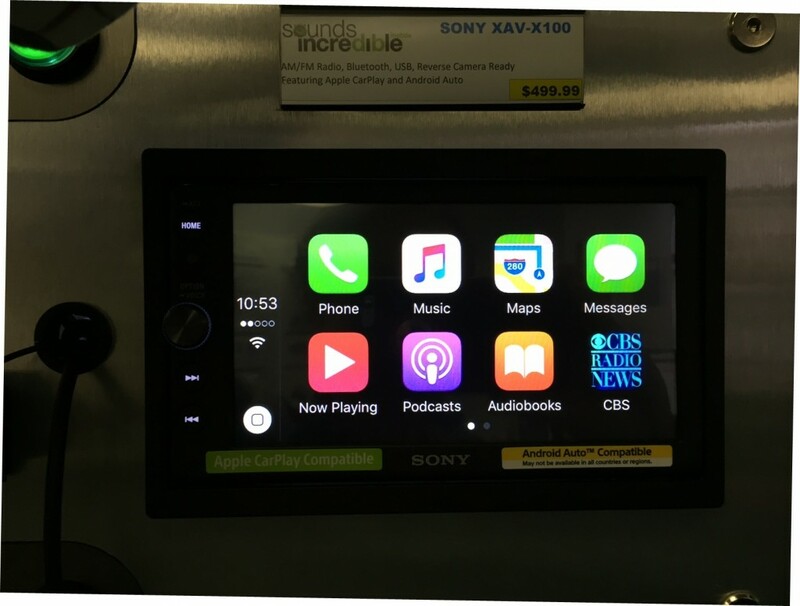 If you are looking for an easy to use, great sounding Apple CarPlay or Android Auto compatible head unit, you should seriously consider the Sony XAV-AX100. This model has that whole less is more approach and won’t overwhelm you with bells and whistles -aka features you don’t need or won’t use. ← Best Double Din Navigation 2016 – Kenwood DNX893s, Alpine INE-W967HD or Pioneer AVIC-8200NEX? I’m thinking of ordering this unit … could you answer a couple of questions, I have an iphone – can I receive and make calls over BT or does that require a wired connection. If it does where is the USB plug – I don’t see where the device is connected to the front of the unit or where it might be connected from the back of the unit … do I need to order another component? Super delayed reply, sorry (winter is our busy season) – can do through Bluetooth – has a rear USB extension which we normally flush mount using a USB flush mount like the Pac Audio USB-DMA1 or USB-DMA6. Thanks for this review, as I haven’t seen too many floating around on the internet for the 200. I do have a few installation questions for putting this bad boy into my 2013 Wrangler Sport 2 door. I have a factory installed microphone near the visor on the drivers side, now I understand that you would have to replace that microphone with the new Sony one (included in the box), is it possible to run the Sony mic into where the factory set one was originally? Also, would it be possible to run the USB under the center console into the arm rest for the factory installed USB ports are? And lastly, when playing a DVD does it continue to play while the car is in drive? Sorry for the super belated reply, but maybe this will help another reader out. You can put the mic in the factory location, but honestly works better on the dash near the stereo or instrument cluster (less wind noise I think). You can retain the OEM USB using a Metra adapter AX-USB-MINI-B UNLESS you’re using it for Android Auto which requires a high speed USB cable that supports USB C devices like the Pac Audio USB-DMA6 which can be flush mounted near the OEM port in the center console if desired. Last question depends on how you wire it up, but please, for the love of God, do not watch DVD’s and drive. Hi Chris, the XA-NV400 does not appear to have real time traffic (I looked through the owner’s and install guide and could find nothing about it), but one thing that is cool is it looks like it covers US and Canada and it has 6 different routing methods which I think is a little better than the typical generic Fastest, Shortest, Mostly Highway options that you get with Pioneer or Alpine. By the way for comparison, Pioneer and Alpine use Here maps and Kenwood uses Garmin. The user interface looks pretty nice based on the screenshots. My husband just installed the XAV-AX200 in my Jeep Wrangler and I may end up putting the Tom Tom GPS in there too for demo purposes or I may end up putting one on display because when you add that in, it’s still a fantastic value compared to other brands and I truly prefer the user interface of the Sony over Pioneer, Kenwood or Alpine. It’s very clean and straight forward – plus it has a volume knob – I can’t believe Sony is the only company at the moment offering a CarPlay/Android Auto head unit with a volume knob these days. Kenwood used to have one, but got rid of it so they could go slightly larger on the screen and accommodate Android Auto. Thanks for the detailed review. One question: does the iPlay/Android Auto require a physical connection to the phone (i.e. cable)? Or are iPlay/Android Auto available via bluetooth connection? And if they require physical cable, is the bluetooth available for some other device? Or are both required for iPlay/Android Auto functionality? Thank you! Hi Ross, good questions – there is only one head unit at the moment that features wireless CarPlay aftermarket and that’s the Alpine iLX-107 and it’s pretty cool, but that’s about all it does. For the Sony XAV-AX100, you can have an iPhone connected through USB for CarPlay and still have a Bluetooth iPod device connected for streaming audio. I have not tried that with Android however so I can’t say it would work the same way for Andriod, I’d have to try it with a customer’s phone to test. I don’t think it would though because whenever I set up Android Auto on a customer’s phone it always asks for permission to connect automatically for Bluetooth and contact info so I think Android Auto is still communicating through Bluetooth even though it also requires a wired connection whereas Apple CarPlay works strictly through the lightning connection allowing you to have something else connected for Bluetooth. i brought it from the US. and am living in UAE. 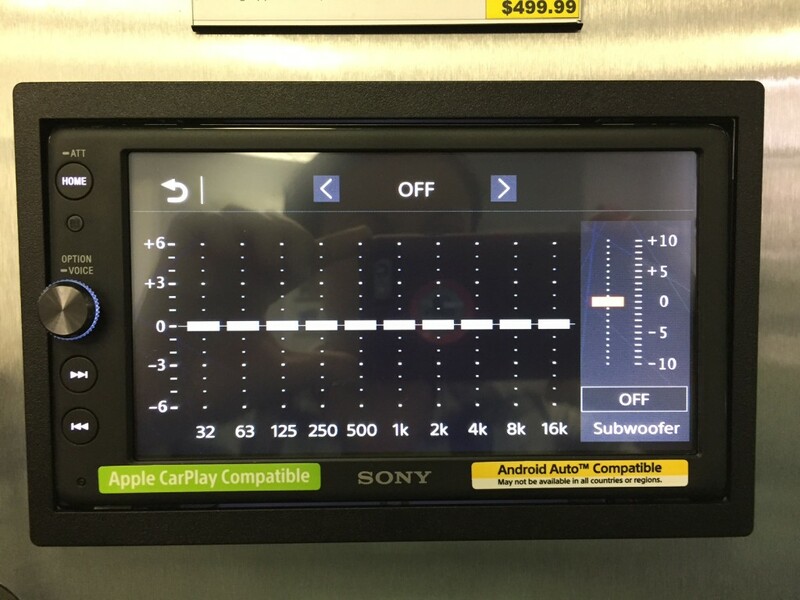 Like many other car audio companies, Sony is distributed in many different countries and they make slight variations in products for compatibility purposes depending on where they are going to be used. I’m not sure where you’d have to purchase it from for it to be compatible with UAE tuning frequencies. I’m sorry. The App Radio 4 is still a popular model that I sell here and it does still give you a few features additional over the Sony. The App Radio 4 has the glass capacitive touch screen, second USB input, HDMI input and AUX input. I kind of like the clean look of the Sony and with the matte black and the volume knob, but that also depends on what your car dash looks like. I do like the simplicity of the Sony radio itself. Any CarPlay deck should work with iPhone 7, any time I’ve had a customer have an issue the issue was with their cable (one customer had two brand new Apple brand cables in a row defective, it happens). Since the Sony is still relatively new, I haven’t had a ton of experience with the call sound quality (like talking to customers on their phones while they’re driving around). I can tell you since the App Radio 4 has been out for over 2 years that the mic call sound quality is good, but it’s sensitive and I typically have to turn it down to the 1 out of 3 setting on the Bluetooth mic sensitivity level. In general mic placement is also important. Works better away from the glass/roof, closer to the driver. I like to sneak them into the instrument cluster area for discreet location and functional position. I hope that helps! I’m trying to decide between the Sony ax100 and the pioneer 4200 nex. I’ve heard the Sony doesn’t work with iPods (source: crutchfield) Do you know if this is true? Also, if it is possible, can you use Android auto at the same time? If not, not having an aux input could make things difficult. But maybe there’s a way to rig it to have an aux? 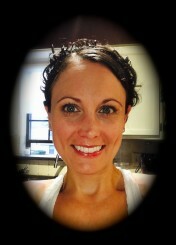 Sorry for the flurry of questions and thank you for the wonderful site! I thought it would work with newer generation iPods, but quite honestly, I haven’t tried my own iPod. I will have to try it and report back. It’s possible it doesn’t support it because they assume people are going to use the USB strictly for CarPlay or Android Auto, but that would be unfortunate. I have not figured out how to add an AUX. I noticed an extra input on the rear, but I think that might be for an accessory that isn’t available in the US. I know in Europe, digital tuners are a popular add on so perhaps that’s what it’s for. Great review!!! I installed this unit in my older Jeep a few weeks ago. As additional advantage its good to note that you can change the camera settings from reverse to normal which is important when you need to watch live video eg from tv broadcasting. This also helps if you have a reverse camera feed eg from a standard camera which is normal as you can reverse the image with the unit. Great. My two biggest complaints with this unit is that it does not have AUX In as well as lack of wi-fi support. I have seen that Apple has implemented CarPlay to use wi-fi instead of BT thus meaning that the unit will not be able to support Wireless car play. Aux is just good to have and i would rather they had substituted the wired remote jack with AUX in. It would have been perfect too if they had included HDMI In/Out as you have rightly mentioned. Thanks for the impartial and reasoned review. Ed. Hi Ed, thanks for the comment! Yes, I agree, I was very surprised it did not have an AUX input. As far as the wireless CarPlay goes, my understanding is Alpine will be the first to offer aftermarket wireless CarPlay with their new iLX-107 in February/March 2017. Does the XAV-AX100 automatically display Android Auto or Carplay when the phone is connected, without having to touch the icon (like Pioneer does) or it only displays the shortcut (like kenwood) and you have to press it each time to launch carplay ? Hello ilGaspa – Good question. It does automatically switch over and display the Android or Apple screen, but so do most Android Auto/Apple CarPlay units including ones like the Pioneer AVH-4200NEX. I’m curious, which Pioneer are you using? Maybe you just need to do a software update on the unit?